Now for something very light-hearted. 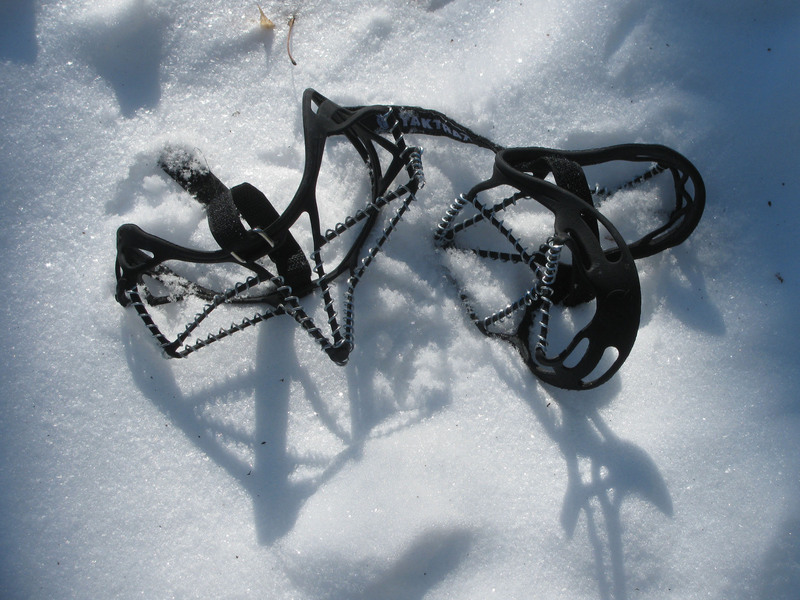 What do Yaktrax look like? Something like the tracks of the elusive Bigfoot from North America, or the Yeti in the Himalayas—creatures that some people swear they have seen? Bigfoot, also known as Sasquatch, is supposedly a cryptid ape-or hominid-like creature that lives in the forests of the Pacific Northwest. The Yeti, also known as the Abominable Snowman, is also an ape-like cryptid that lives in the Himalayan Mountains of Nepal and Tibet. 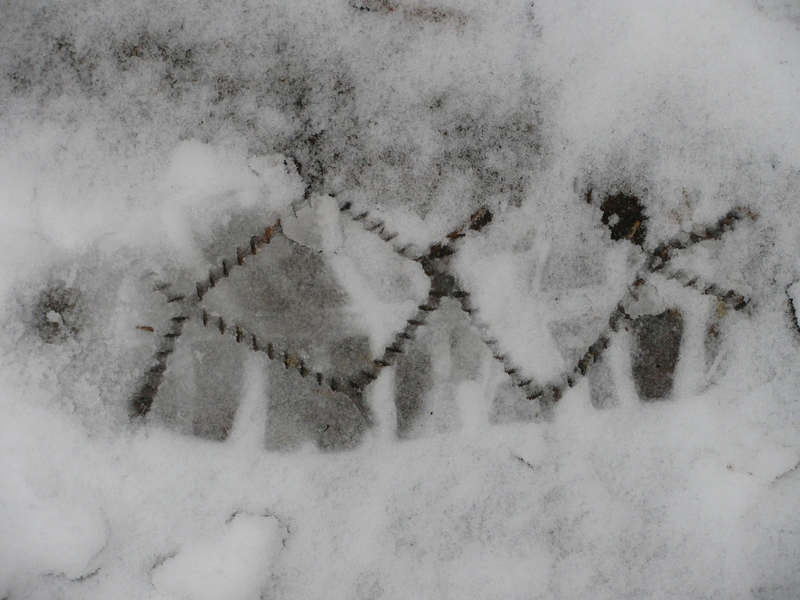 Maybe Yaktrax look like this? 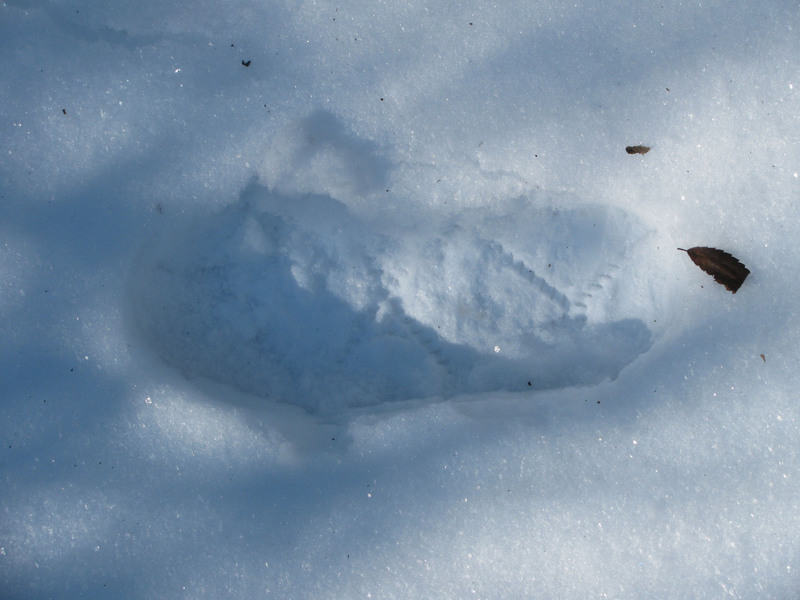 Well, we’ve unearthed the secret of the Yaktrax, but the mystery of Bigfoot and the Yeti still remain. Scientists say the existence of these creatures is a combination of folklore, misinformation and hoax. And yet the stories persist. Recently, we’ve had some very snowy and icy weather where we live, making walking outside a bit treacherous. My husband prefers to walk to his lab at the university, so we decided to buy him some removable, strap-on cleats to make walking a little less hazardous. Voila the Yak Trax, a very clever play on Yak Tracks. 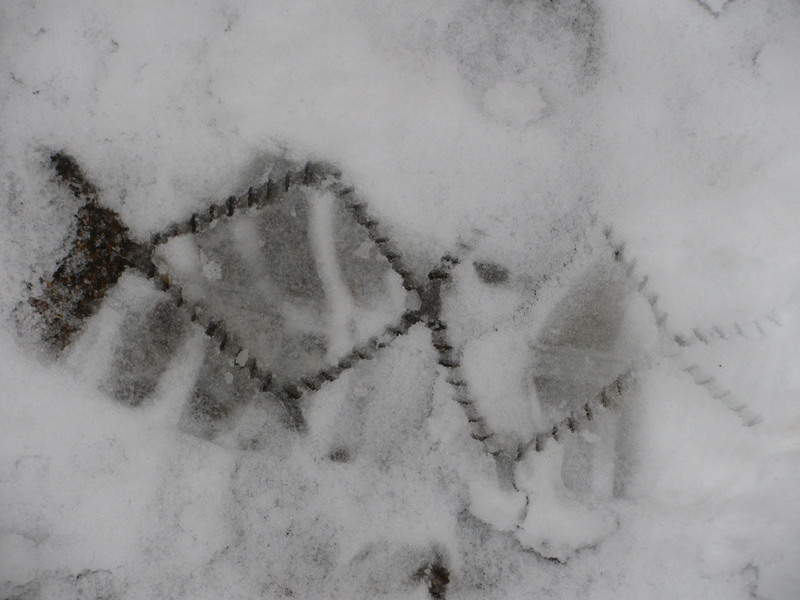 And the YakTrax work very well. 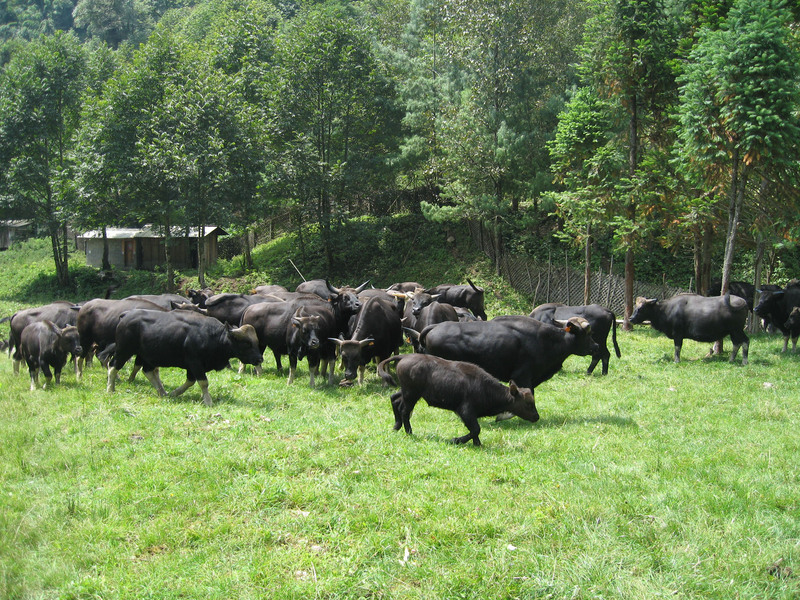 Yaks are bovids (Bos grunniens and Bos mutus), part of the cattle family. 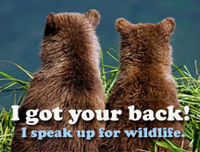 They are known as animals that have an amazing ability to walk and climb in the Himalayas, at high altitudes and in snow. Supposedly they are very nimble, so someone who can have tracks like yaks will hopefully also be more nimble in winter weather conditions. 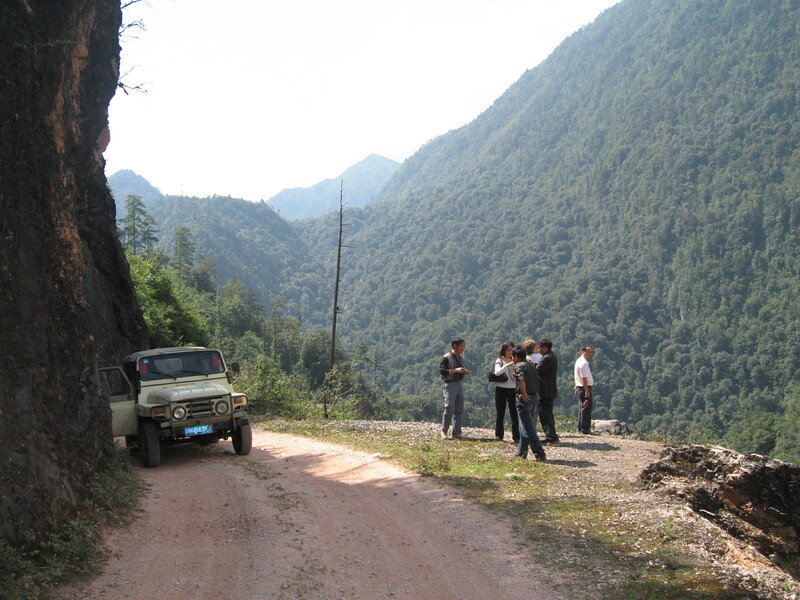 We have not been to the Himalayas, but we have been high in the mountains of Yunnan Province in China, bordering Tibet—but only in summer. 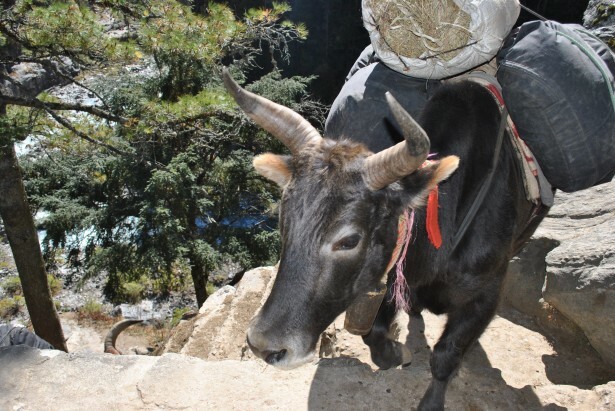 On the way up to a research station, where my husband was going to study their herd of domesticated Gayal cattle (bos frontalis), we saw a few domesticated yaks, climbing up a steep path off the steep road, and lower down we saw a couple on a large meadow, decked out with colorful panniers. The Gayal are found in northeast India, Bangladesh, northern Burma and Yunnan, usually in hill forests. 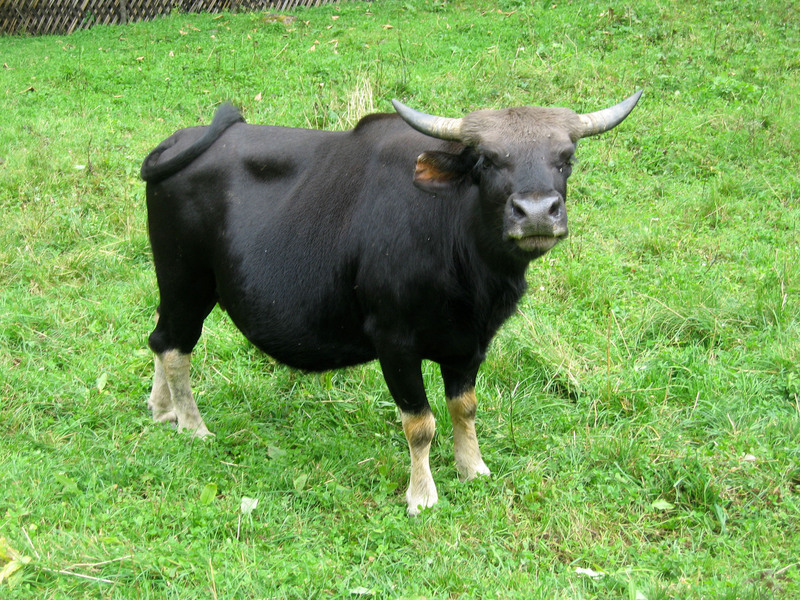 The Gayal are not the same as yaks, but still very interesting, and they are also pretty nimble. 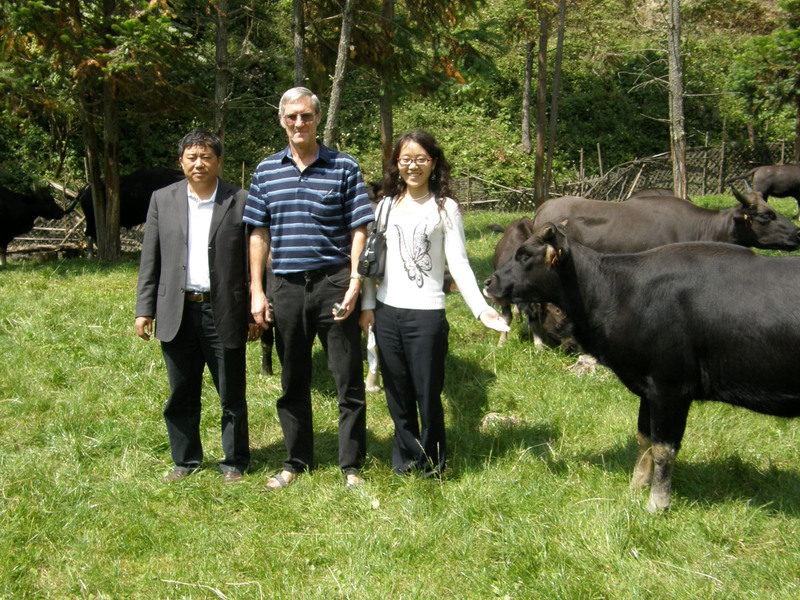 As far as I could tell, they look very similar to yaks too, except the horns are flatter and straighter.